At first I thought this was a Marine CH-46 ferrying a extremely large, green hot dog. No, it's actually an Army Chinook carrying a raft. 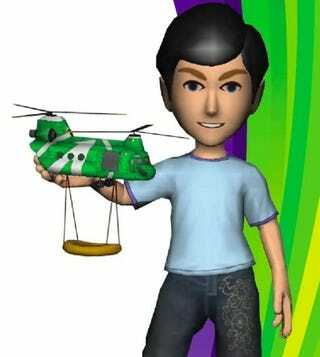 Microsoft gave out this Kinect Adventures Avatar toy to everyone at last night's Kinect event.